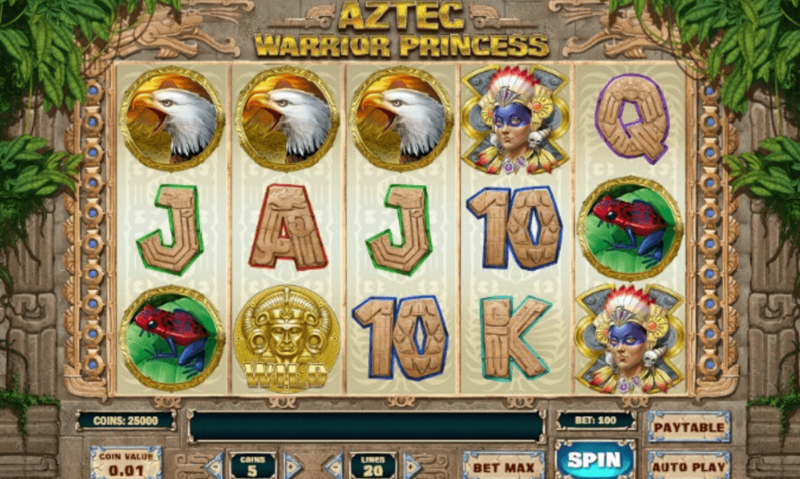 Today we review Aztec Warrior Princess the new online slot machine from Play’n Go. 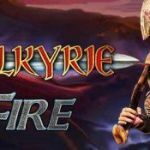 The provider is going back to a more traditional game design, after releasing the uncommon Viking Runecraft slot machine last month. The ancient Aztec empire is in full display on the new casino slot, as Aztec Warrior Princess is inspired by the long lost Central American culture. The slot game will be released in the upcoming weeks and players will be able to find it on LeoVegas, as well as all other casinos that feature Play’N Go slots. 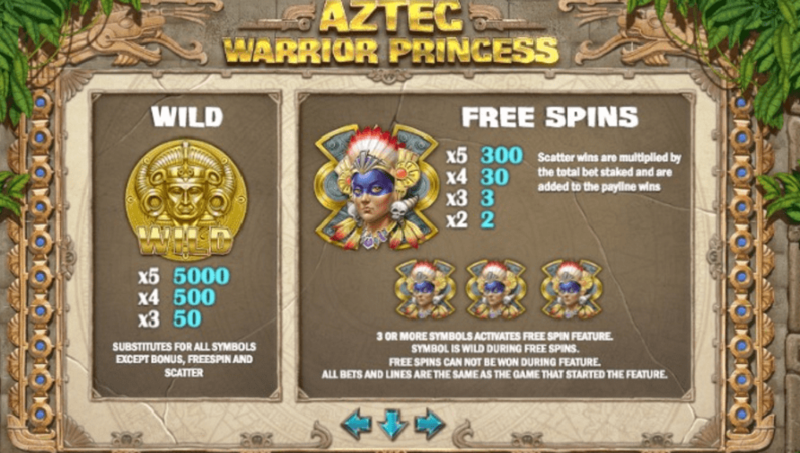 Aztec Warrior Princess is a 5 reels and 25 paylines slot machine which will be available on on desktop, tablet, as well as most other mobile devices. The min and max bets players can lay – range from 0.01 to 100, depending on the currency played. The coin size ranges from 0.01 to 1. As the name suggests, the slot game’s theme is all about the native American Aztecs. The main character is the Warrior Princess. The whole slot game looks like it’s taking place inside a dense rain-forest. The background shows ruins of an ancient civilization swallowed by the jungle. The high value symbols on the reels all relate to the slot's theme. The symbols feature a huge snake, a jaguar, an eagle and a frog. 10, J, Q, K and A make up the low value symbols. The scatter symbol is the Warrior Princess herself. The game also has a special bonus symbol. The special symbol features three skulls with jewel for eyes. The wild symbol is a golden medallion with the word “Wild” on top. The wild is the highest paying symbol, and awards 250x the stake for 5 of them on a winning line. Moreover, wilds can substitute for all other symbols, except the scatter and bonus symbols. Players can trigger the free spins feature by landing 3 scatter symbols anywhere in view. The number of free spins the player gets depends on the number of scatters that will trigger the feature. On free spins, the Aztec princess goes wild to help create more winning combinations! The slot machine also has a picking mini game. To trigger the bonus players need to land 3 skull symbols anywhere in view. 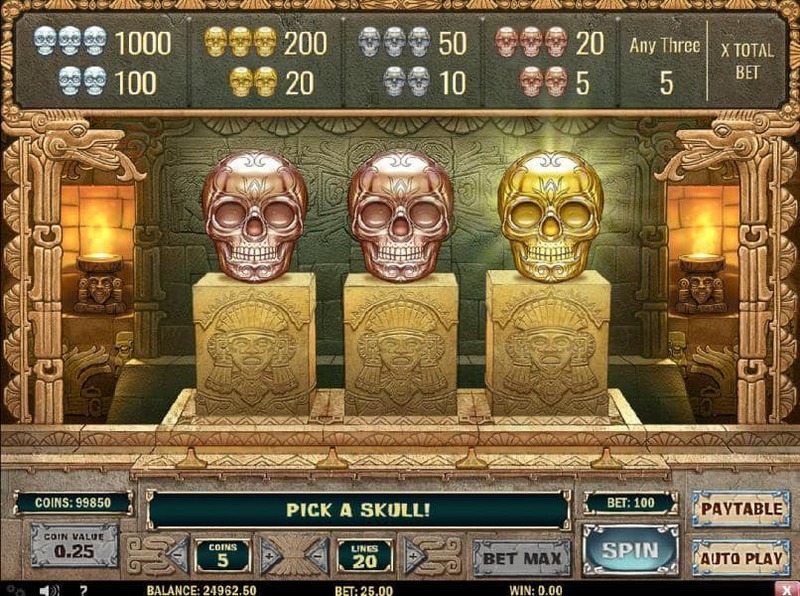 When the bonus round begins, a number of mud-covered skulls will appear on screen. The skulls can be diamond, gold, silver or bronze? Players have to choose 3 sculls. The value of the bonus prize will depend on what material the chosen skulls are made. The max possible on the picking bonus is 1000x the stake. Picking 3 diamond skulls will give the biggest prize. Aztec Warrior Princess is a medium volatility slot machine with an RTP of 96.08%. The max win possible on a spin is 1065750 coins. The animations and graphics look stupendous and the design is top quality. Moreover the huge winning potential can result in big cash-outs. All in all, a great addition to the Play’N Go family which we can't wait to try on LeoVegas or any other casino that will feature the slot. 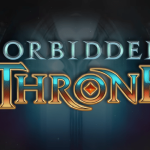 Let us know what you think about the game in the comments. Or join CasinoGrounds Forum for discussions.